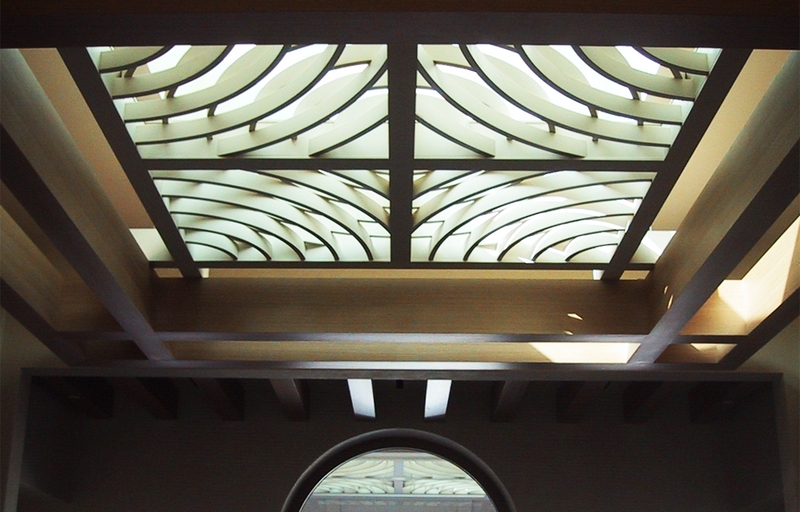 We design and build bespoke woodwork to fit our customers' discerning visions. Our team will leverage decades of experience to meet any request, no matter the size, scope or material. There is no project too big, too difficult or too imaginative for Woodworks Millshop. In addition to building advanced architectural millwork, we pride ourselves in building specialty pieces. Whether you need a personalized guitar amplifier or custom display stand, we can craft it. Please inquire about any special works you are interested in. For larger projects, we offer Project Management, Owner Representation and Consulting Services as needed by our clients and partners. Our custom wooden cabinets are grain-matched and, often, exotic, adding the perfect finishing touch to any living room, office, kitchen, bar area or bathroom. Bespoke wooden ceilings, moldings and skylights add style and personality to every home. Whether it's the entrance to the home or a divider between rooms, every door should make a statement. Tie any room together with our fully grain-matched panels. No fireplace is complete without a personalized mantle. Your restroom vanity should be both functional and beautiful. Accent your home with bespoke furniture pieces for every room. From private residences to commercial spaces, our custom bars and bar rooms will cover all of your storage and serving needs. Entertain in style! Design a room or storage piece to organize, display and enjoy your entire wine collection. Anything you dream up, we can build. Whether you have something specific in mind or just a rough idea of what you need, we will design and build the perfect piece for you.